Partnering once again with the creative team at Wieden+Kennedy, Mill+ Director Jorge Montiel brought to life this fun and adorable spot for Three. 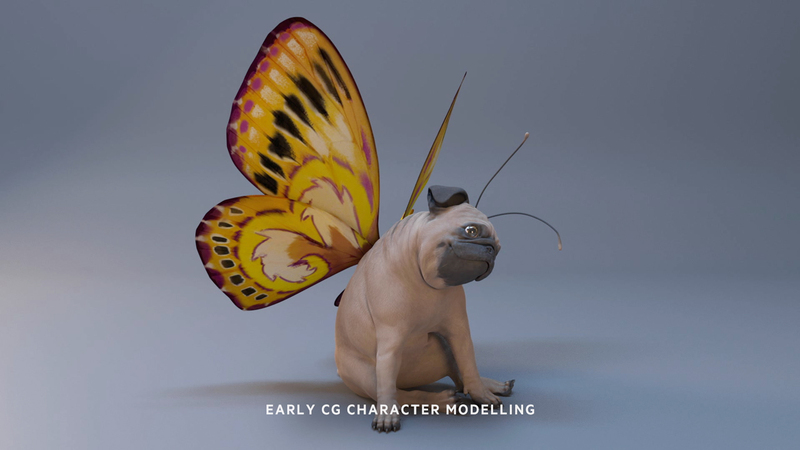 The spot stars Three's most lovable character yet, The Puggerfly, who was created entirely in CG by The Mill team despite his realistic features. This wonderfully funny spot opens with a picturesque floral scene awash with colorful butterflies. 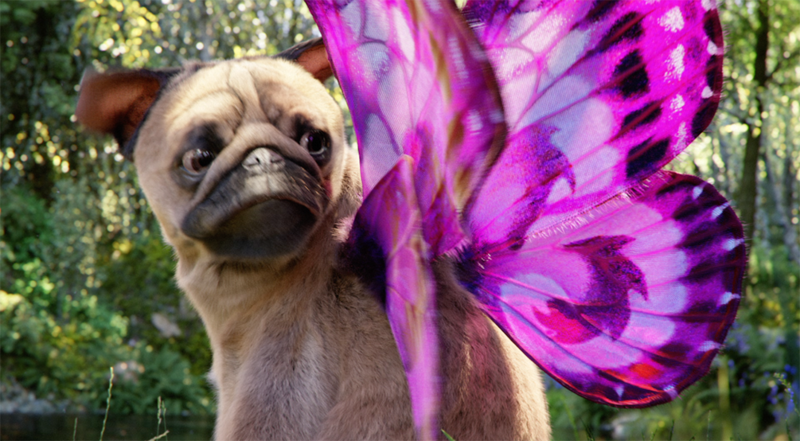 Viewers are then introduced to Puggerfly - a bemused looking pug/ butterfly CG hybrid, full of boisterous movement. 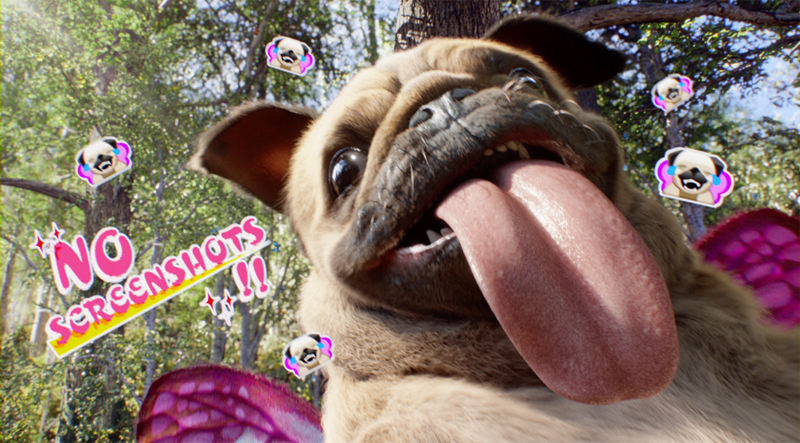 Despite the true-to-life appearance, the pug's features are 100% CG along with all elements of the environment. 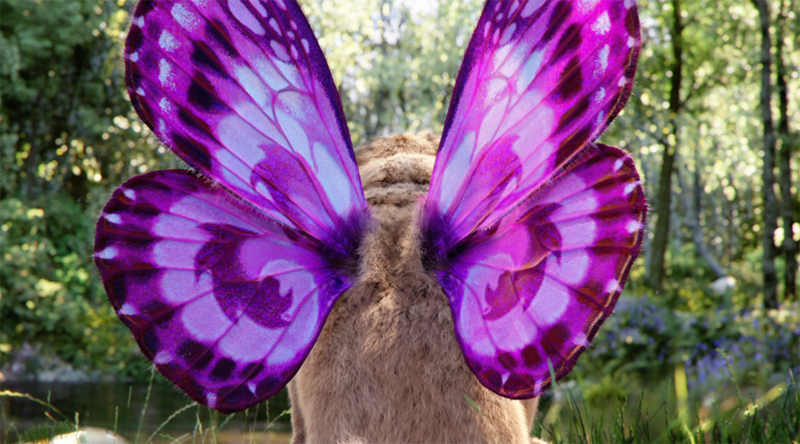 The Mill team seamlessly composited each aspect to create this fluent and vibrant piece. 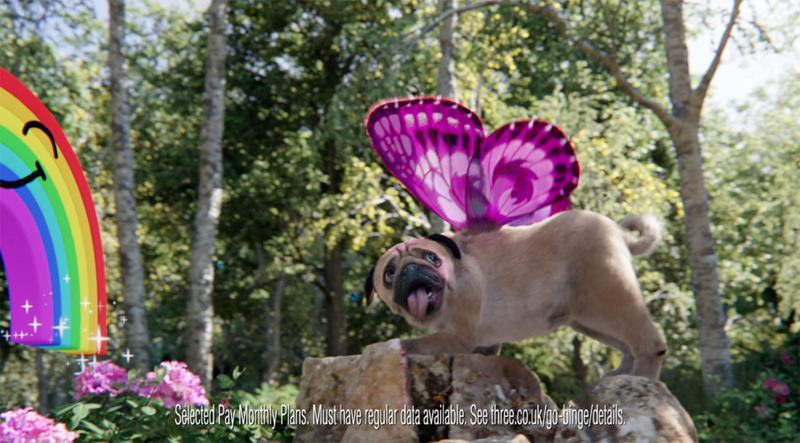 The rest of the ad follows Puggerfly as he begins to embrace his wings and navigate his way through the luscious CG forrest. 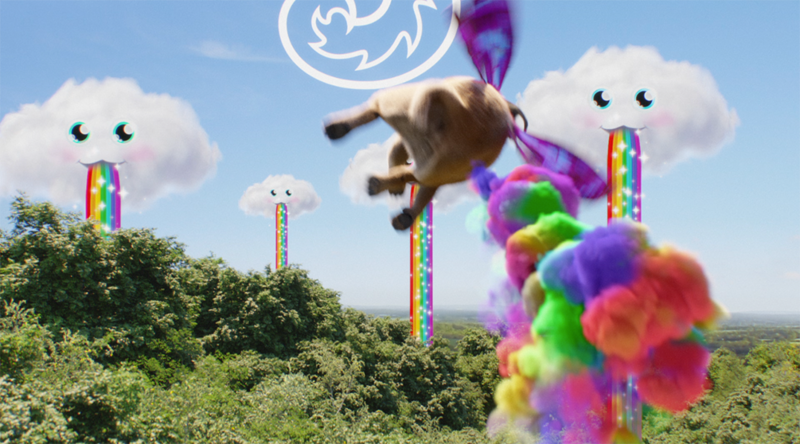 The repeated appearance of emojis and glittering typography nods to Three’s collaboration with Snapchat as the spot seeks to encourage user’s to take advantage of using their unlimited data on the app. Mill+ Director Jorge Montiel adds 'The story is about celebrating being funny and silly. 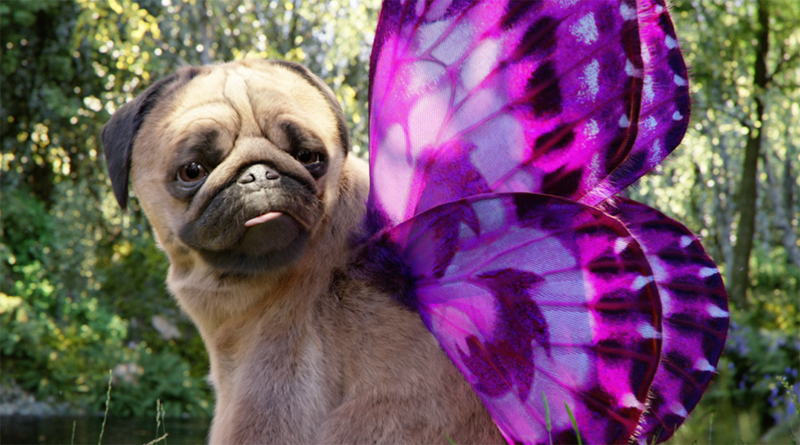 I wanted to bring the sense of “enjoying the moment” capturing all the silliness of the puggerfly with snappy and handheld camera movements. 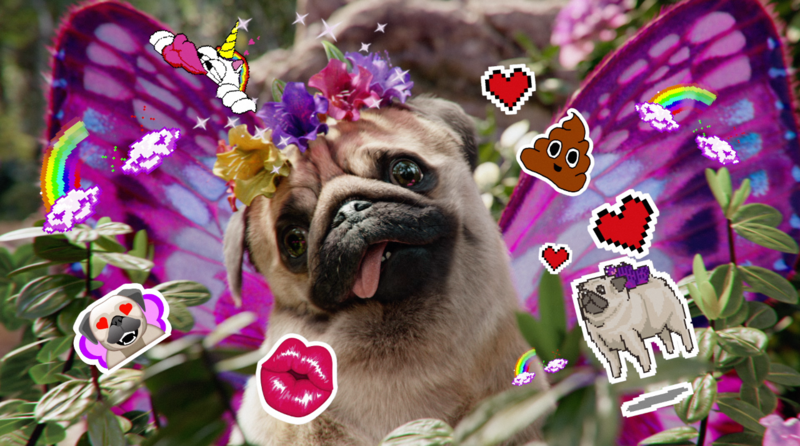 The Mill provided the CG assets which will be rolled out across Snapchat’s filters nationwide as users take on a tamagotchi style experiences in adopting their own Puggerfly.